Horsemanning / Horsemaning at the Office! Crazy! Thanks for the Samurai inspired Horsemanning pose Shiho! Check Out The Best Horsemanning Pictures! 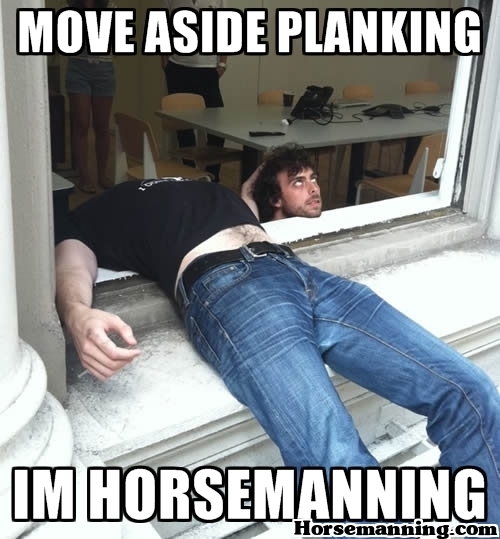 As the official site of horsemanning / horsemaning, we are dedicated to showcasing the most creative headless horseman photos that the community has to offer. Every day we will update this site with the best new horsemanning photos from around the world. Vote, like, comment on and enjoy. Don't forget to submit your horseman! Horsemanning on The Headless Horseman Bridge! Save Money and Get Great Deals on Everything! © 2011 Horsemanning. All Rights Rexerved.